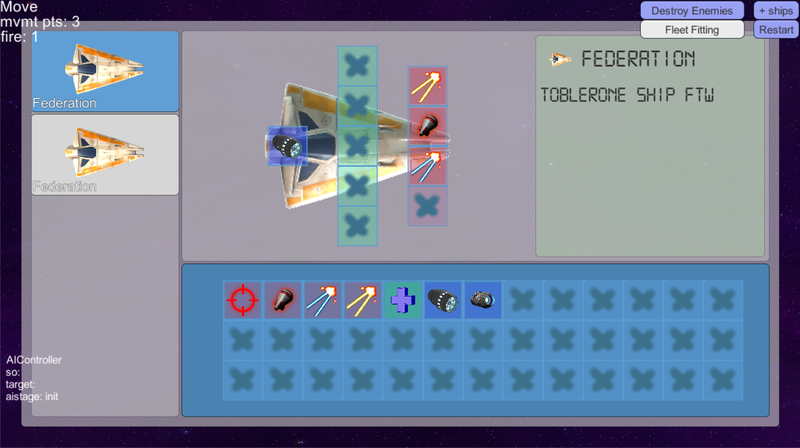 we've added a ship/fleet fitting UI prototype which will be used to configure your ships. and in addition, work is finalising on the skeleton for the tactical game by adding neutral objects & objects of bigger size than 1x1. as you can see here, we've added a turn system. 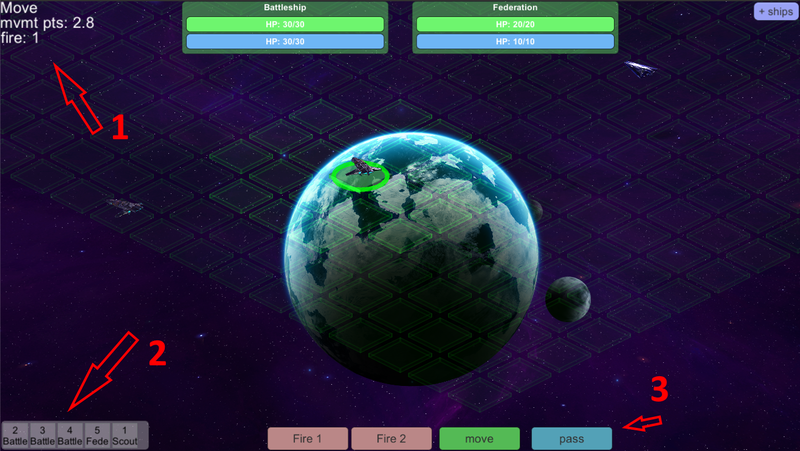 Spacestuff (code name) is going to be a tactical space adventure. 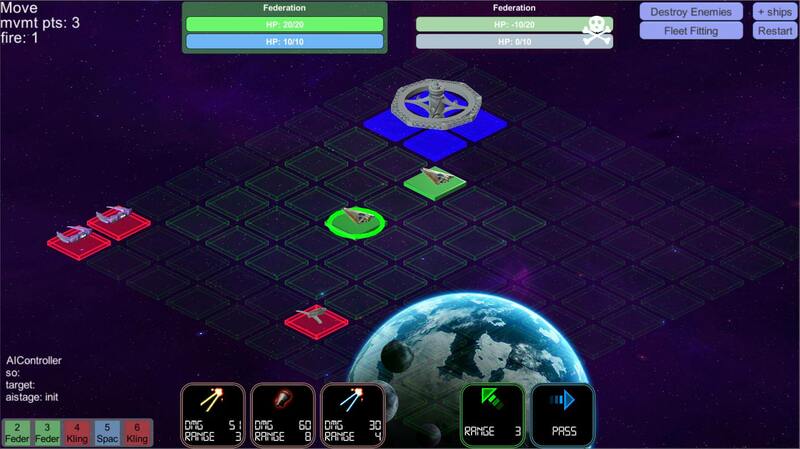 Think FTL meets X-Com. Currently we have a 2D plane as playing field, and ships on this plane (or playing field) that can move & shoot. as a first update, we'll show you how development, or rather testing, in unity looks like.